I’ve had the pleasure of shooting weddings in Ireland, Northern Ireland, England & USA (New Jersey). How many videos will we receive? This depends on the package that you choose. I have three main packages I can send you some details on. At minimum, you’ll receive a 15+ min Short Film and a 3-5 min Highlight Video. How long will it take for our videos to be ready? Your videos are usually ready within 10 weeks of your wedding, this can be a bit longer during the busy season. How many videographers will there be? Generally speaking I work on my own, but sometimes couples really want more than one videographer and I can hire a second shooter. 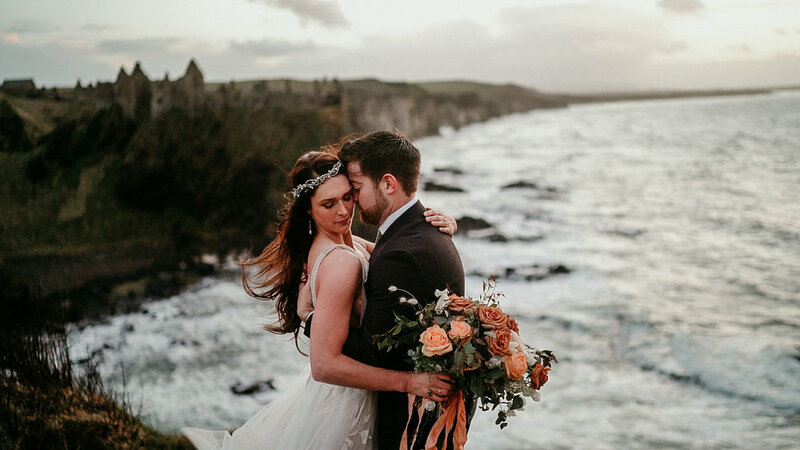 Do you travel for weddings & engagement shoots outside of Ireland? Yes. I love to travel, so always look forward to shooting destination weddings. I’ve shot destination weddings in England & USA (New Jersey) and am shooting weddings in France, Switzerland & Santorini in 2019. If you have a destination wedding planned, I’d love to speak to you. I like to shoot the whole day from getting ready to first dance, but sometimes couples just want to cover a part of the day, which we can work out. I include travel costs within the prices for my packages, if your wedding is within Northern Ireland or Ireland. Can you hold my date? I operate on a first come, first served basis. The only way to secure a date is by paying the booking fee and signing a contract. Yes, both public liability & professional indemnity. My preference is to use bank/credit card. Do you shoot photos too? I only offer video, so don’t offer photos in any of my packages. Can you recommend other suppliers? I’ve worked with some amazing people that I’d highly recommend.